Federal Signal's Model 350 produces a very loud horn tone by the electro-mechanical vibration of a diaphragm. Capable of reproducing coded blasts or sustained tones through the use of a number of control devices from a push button to a PLC. 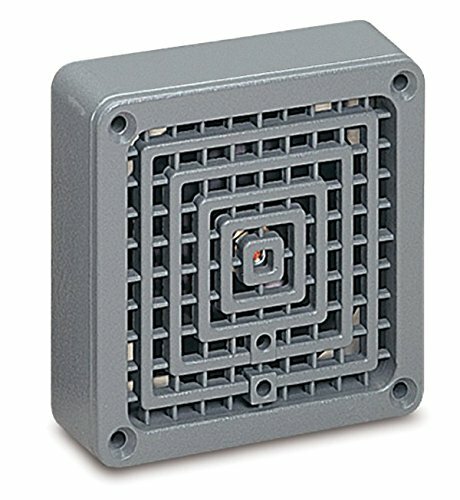 Vibratone mounting options provide for surface flush or semi-flush mounting on walls panels in cabinets on 4-inch square outlet boxes or in concrete and deep wall constructions. Each model is enclosed in a zinc die-cast housing sealed with gray powder-coat paint and features a stainless steel diaphragm. Federal Signal's Vibratone horn is excellent for general alarm start and dismissal coded paging and process control signaling in areas of high ambient noise levels.